With staggering billion-plus active users per day, Facebook is a no-brainer for launching a new product. 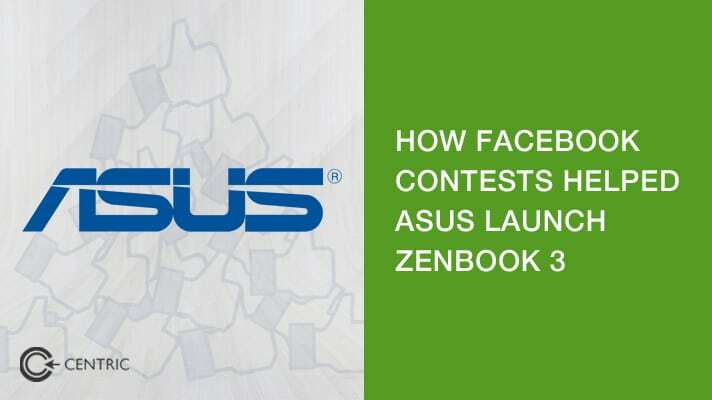 Which is why we opted to help ASUS Middle East launch the new ZenBook 3 using a Facebook contest. The campaign wrapped up last month and we would like to share everything a marketer must consider before initiating a contest on Facebook. First things first, Facebook has rules and even more so it has guidelines for running a contests on Facebook. The core of every marketing campaign, define your goals. In this case, define what you intend to achieve as a result of the campaign. Determine which of your wishlist can be realistically achieved with Facebook. For the ASUS Style Icon contest, we aimed to reach at least 500,000 people in the Middle East, of which at least 50% would be unique. We wanted two types of contest participants, the people who wanted the final prize and the people who would be voting on the best submission that deserved the prize. In nearly all cases, people prompted their friends to vote for them, so it brought in an interesting mix. It’s not a Facebook contest without a reward, so pick your prize carefully. In our case, we offered the participants the ASUS Zenbook 3 by sharing user generated content around the value proposition. Every contest wants its users to participate in an event, quiz or challenge that results in a comment, correct answer, photo or any variation of user generated content. We recommend picking a winner at random instead of sifting through every response. 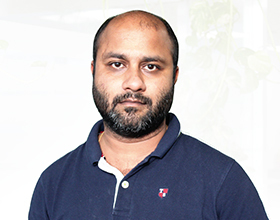 When considering photo based entries, using machine learning tools like Tagxit to help determine which images met the guidelines (such as brand visibility or location clarity). In doing so, the app keeps track of all entrants and can pick a winner for you at random, while organizing participant data (like pixel and email addresses) for future remarketing via C2. Make sure to clearly communicate the terms & conditions of your own Facebook contest. The important aspects of this are: who is eligible to enter, when the competition begins & ends, whether there is an age or location restriction, what the reward will be for participating, and the exact time & day the winner will be announced. For the last bit, be sure to structure creative that prompts participants to change their follow status of your Facebook page to “See First”. Long forms bore people, especially for minor prizes. Keep your entry information requests as minimalistic as possible. And make it as painless as possible for people to not only share the Facebook contest but also be rewarded for it. Our contest for ASUS attracted 1,711 users of which 15% were participants and the remaining were voters. Is your contest mobile friendly? It better be. The majority of Facebook users are on their mobiles so facilitate them the most. This is especially important if your campaign plans on driving footfall based on location. Facebook’s Local Awareness Ads work best for segments targeted via mobile. This is why we recommend tools like Eventador and Tagxit as the third party app of choice. Drive visibility for your contest by promoting it. This is such a pressing issue that I wrote a guide on getting Facebook targeting right. Focus on the audience that would participate and the one that represents your target market, but also fixate on behavior and lifestyle. Our contest for ASUS fixated on people who are proud of their style and are more than happy to flaunt it, for which we invested under US$ 3,000 to reach over 600,000 people in the Middle East. Use C2 to run an inbound marketing campaign that informs your target segments about the contest, and then redirect them to the Facebook page. While running ads on Facebook is great, don’t put all your eggs in one basket. Diversify the means by which awareness of the contest is generated. From a corporate standpoint, also consider adding a banner & URL in your email signature for the contest. The more the merrier. Look at your goals. Now back to measurement. Did it add up? What was realistic? What was wishful thinking? How much did you spend? Rack up the variables to assess the performance and fixate on what went well. Then document what you learned, make a new checklist and raise your game for the next contest. The ASUS Style Icon contest exceeded some of our goals (see above), attracting 20% more total people that projected of which a third were unique users while each voter voted an average of 32 times – much more than expected.